Bio: Originally from Co. Cork, James Fox, also known as ‘The Border’ has been involved in GAA both at home in his native Kildorrery and in London. He joined Dubai Celts in 2015 and is the first and only player in Middle East history to receive a straight red card! His first love is hurling and served as Hurling Officer two years ago. He then stepped up to Vice Chairman last year and this year he has taken over his fellow Cork man ‘Bellies’ to become Chairman of the club. 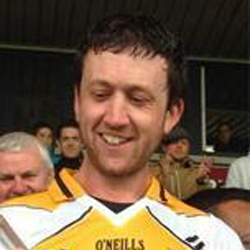 He aims to keep the current trend of Non Irish playing our national games continue in the club and for more to take up hurling. He looks forward to the year ahead and the success of the Celts in the ME League and Championship. 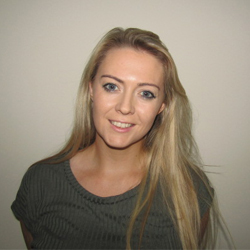 Bio: Originally from Tralee, Co, Kerry, Siobhan works for Tourism Ireland in Dubai. 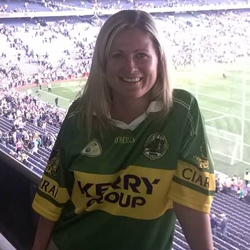 Prior to her move in 2015 she was heavily involved with the Austin Stacks GAA club and took great pride in watching them win county and Munster club football titles in 2014. This is Siobhan’s first year getting involved in the Celts and she is looking forward to the upcoming season and being part of the committee. Bio: Born to an Irish Mum but originally from Scotland. Ellen moved to Dubai in 2015. She started Camogie in 2016 after being drafted in by Niamh Walsh when the Social Girls were short on numbers. Having never picked up a hurl, she has really enjoyed learning the sport, especially the social aspect! 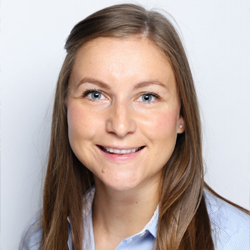 Ellen works as a Primary School Teacher and is hoping to put her organizational skills into action as Secretary this year. Bio: Ciara shared the PRO role last year but this year is taken it on all by herself. Ciara originates from Co. Wexford and hadn’t picked up a hurl in over 10 years before she moved to Dubai in 2015 and is now one of the “originals” from the first night of training when 6 girls turned up to re start a Dubai Celts camogie team. She really enjoys being part of the club and says that without the club her move to Dubai wouldn’t have been so easy. Bio: Coming from the famous Rathnure club in Wexford, where every man woman and child who can walk, plays hurling or Camogie, Mick arrived in Dubai in 2010 and has since been heavily involved in every aspect of the GAA across the Middle East. His arrival coincided with the renaissance of hurling in the Gulf, culminating in the winning of the Aer Lingus International Hurling Festival Division 2 in September 2013. While he now maintains that old age and knee injuries are taking their toll, he is trying to “take a step back” this year off the pitch…but we don’t see this phase lasting too long.